Hawthorn (VFL) change to the brown and gold vertical stripes. Collingwood (VFL) Coach Jock McHale retires. Bervyn Woods appointed but is replaced within days by Phonse Kyne who would go on to coach the club for 14 years. 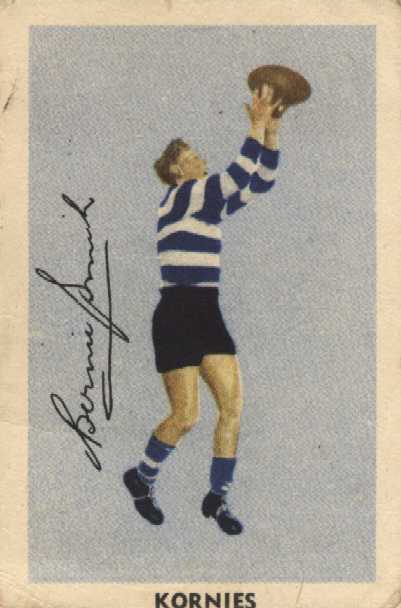 North Melbourne (VFL) reaches the Grand Final for the first time since joining the League in 1925. 11th ANFC Carnial at Brisbane, won by Victoria. Frank McEncroe from Bendigo introduced the Chico Roll as a new fast food snack. Divisional vans introduced for police patrol duties. John Coleman (Essendon) missed VFL Grand Final due to suspension by the Tribunal. Essendon lost the Grand Final by 11 points. 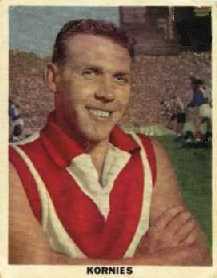 Alan Ruthven (Fitzroy) kicked a goal late in the 'Flood' match at the Western Oval (Footscray) to provide Fitzroys only score. Heavy rain had caused the drains to clog and the ground had deep pools of water on it Footscray kicked 10-6 (66) to 1-0 (6). Australia's first drive-in theatre, 'Skyline', opened in the Melbourne suburb of Burwood. The 'Petrov Affair' rocked Australia. The Affiar climaxed with the defection of a Soviet Secretary and the seizure by Australian Officials of his wife from the hands of KGB agents while they were taking here on a plane back to Russia while it refueled at Darwin Airport. The Petrov's later lived in Melbourne. Victorian Railways closes the Upper Ferntree Gully to Gembrook narrow-gauge railway (now Puffing Billy Railway). Victoria's first parking meters were introduced in Melbourne. Electric trams cease operation in Geelong. International and Australian Surf Championship Carnival begins at Torquay, Victoria. The 16th Olympic Games held in Melbourne, with 67 nations competing. TV stations GTV9 and HSV7 open in Melbourne. Myer Christmas Windows began in 1956 and later the Myer Christmas Parade. Electronic Scoreboard first used at the MCG for the Olympic Games. Designed by Adelaide inventor Edward Thomas Both, The scoreboard was placed in front of the existing scoreboard and was removed after the games. The last edition of The Argus newspaper is published. ICI House at the top edge of the CBD becomes Melbourne's first skyscraper. Player numbers changed at the last minutes in the VFL Grand Final due to a dispute over copyright, confusing many. Outdoor Venue, the 'Sidney Myer Music Bowl' officially opened by Prime Minister Robert Menzies. 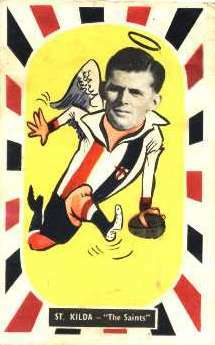 American Evangalist Billy Graham drew 130,000 people to an event at the MCG. 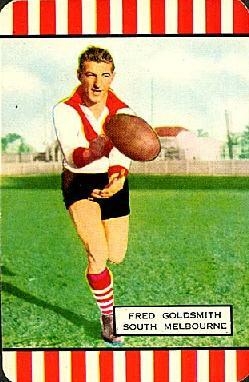 A 'Premiership Cup' first awarded by the VFL to the winners at the Grand Final.